If your business sends mail on a daily, weekly or monthly basis, postage can end up costing your business a fair bit. However there are many ways to keep postage costs down to a minimum and to ensure you get the best value for your money when it comes to your postage. See some of our top tips below to see how you can save money on your postage and optimise your mailing room. With more sophisticated and advanced franking machines currently on the market, you can even monitor your postage and get a clear overview of how much mail you are sending and how much are spending each day, week or month. This will truly show you how to best cut down your costs. Finally franking machines are a much more efficient way of sending your mail – especially when sending huge amounts. You always pay the correct amount and it can be collected by a courier. Simple. When sending heavier mail items it may be more ideal to use a courier service instead. The cost of using a courier service has come down in recent times and this makes it more affordable for smaller businesses, as well as larger businesses, to use. For items less than 2 Kg the Royal Mail should still be your main delivery service, but anything heavier than that then you may wish to use a courier service that is more affordable. If you can guarantee a regular amount of deliveries daily then the courier service may even provide you with a discount. Plenty of discounts can be found by shopping around! Instead of purchasing packaging individually and when needed, buy in bulk. You can probably get a discount with your supplier if you have a close relationship. The price of packaging can easily rise over time, so buying a huge bulk will not only give you plenty of stock but it will potentially save you money in the long term. Do you know how much you spend on postage? Odds are you don’t and the odds are you may be spending more than you should be. As mentioned above, a franking machine can monitor your postage and provide you with a clear overview of how much mail you are sending and how much are spending each day, week or month. Insight into your mail expenses will allow your business to identify areas where costs can be cut and money can be saved. 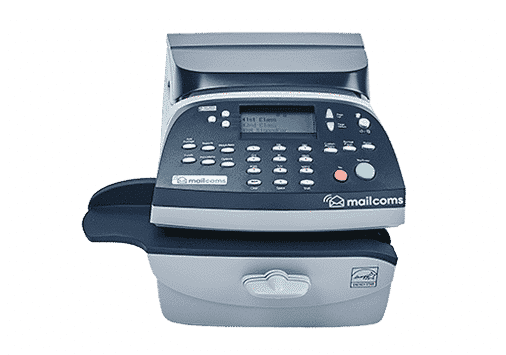 If you are interested in getting a franking machine or upgrading to a Mailmark franking machine with even lower prices available, then please view our franking machine page here or call us today on 01543 572 776. We are a Royal Mail Authorised Independent Inspector & Maintainer of Franking Machines with over 20,000 customers nationwide and we can supply you with our very own range of models.